Top 10 Simple Ideas for Baby’s 1st Birthday Celebration: With the very first sign of the child, everyone starts planning ideas that what to gift the baby and how to please the baby and many more thoughts. So, there is no chance that parents can forget celebrating the 1st birthday of their baby with bag and baggage. Being a parent, as you cannot observe the 1st birthday again in life, so make it special for your baby. Here is the list of 10 tips for baby’s 1st birthday celebration which can help you a lot to bring a mesmerizing smile on the face of your baby and to gather unforgettable memories for the child. Choose the theme: Keep the care of your pocket money before everything and then choose the theme accordingly. Either you can choose the one with bears or dolls or a formal one, but accept as per your guest list and venue. Make a list of guests: Keep a check on the thing that you should not invite the people that you do not want to as it is an extraordinary day for your child so do not ruin its supremacy. Make a list wisely and add joys to the party. Decide location wisely: While choosing a place, keep your budget a priority as if you spend more than you can, then it is also damaged. It is better to arrange the party at home but renting a catering hall may also be a great idea. Hire a professional photographer: If you want to make the 1st birthday of your kid special, then do not scrimp on the photographer as photos are the only things which can create fresh memories for your child whole life. Plan a unique attire for baby: Make it sure to choose the perfect dress for your baby which can embed stars on child’s beauty. Your kid is going to be the star of the party, so he needs to be prepared to look like a celebrity. Order a smash cake for a baby: If you want to capture the best moments for your baby, then smash cake for baby can be a good catch as it can help you to get the candid photographs of your child. Keep younger guests entertained: Plan some adventurous activities for the entertainment of the younger guests either with blocks or with the toys as per your budget. List lip-smacking dishes: It is your wish that you want to celebrate the dry birthday of your baby or you want to make it unique with tasty cuisines and booze, so plan accordingly. Do not cause latency to prepare: Plan something with the full throttle so that everyone can postpone their meetings or schedules for that day. Make every memory unforgettable: Celebrations are supposed to be entertainment and fun, so try to make every moment of the party memorable for your kid. 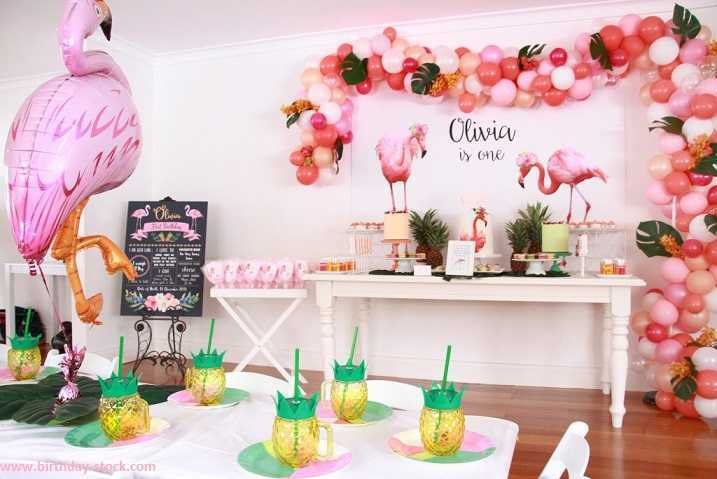 When it comes to the extrapolation of the ten tips mentioned above for baby’s 1st birthday celebration, you cannot think twice before applying these into action. If you keep these points in mind, then you can capture the best moments of your kid’s life.